In order to establish customers' confidence and trust, it's essential to assure them that your website is completely secured. This is done by securing the communication between your customer's web browser and your website through an SSL certificate. Let's explore more about SSL certificate and how to select the right type for your website. 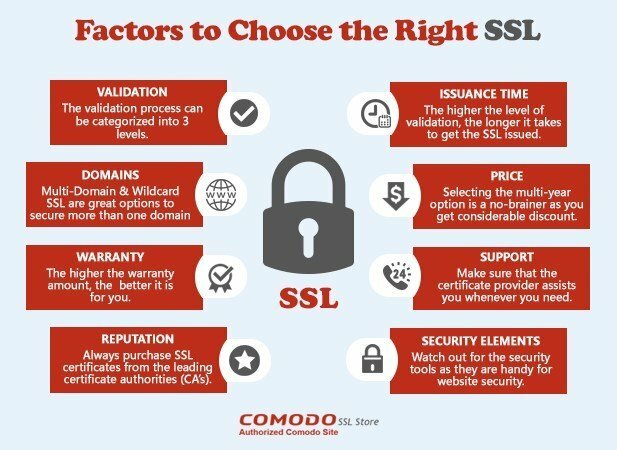 2 How To Choose The Right Type Of SSL Certificate? You can get in touch with a seasoned web development company as most of them implement SSL as a part of their services. However, what does SSL certification mean? Let's look at it in brief. It is easily noticeable that most websites URLs begin with HTTP://, but nowadays many of these start with https://. It ensures that there is a minimum threat that hackers can misuse the confidential data. However, in order to make sure to use HTTPS, it's essential for you to have a Secure Sockets Layer (SSL) certificate. You can avail services of an experienced web development firm. The SSL certificate is well-known as Secure Sockets Layer (SSL) Certificate that assures your customers that the website is owned and managed by a legitimate business. Also, it creates an encrypted link between your site and your customer's web browser that ensures that all the data passes between these two territories is entirely secure and private. How To Choose The Right Type Of SSL Certificate? There are three significant types of SSL certificates. All three offer different levels of validation, but at different costs. Let's look at each one of them in detail and explore how to choose the most appropriate one for your site. It is the base-level SSL certificate that is the cheapest and most straightforward of all three. Here, the website owner needs to prove that he/she owns the domain name. Then usually the CA will validate through an email or by reviewing the Domain Name System (DNS) records for your website. These certificates provide encryption of server-browser communication and are apt for sites where trust and credibility are least important. There are many free SSL options available at this level, so it becomes much more comfortable for any website design to meet the requirements. This type of SSL certification is best if your website doesn't handle sensitive information. These are perfect for blogs, portfolios, and other sites that don't collect confidential user data. Let’s Encrypt is an excellent platform from where you can easily obtain DV certificate for your website. These certificates are a step up than DV certificates and a bit more advanced. In case to provide you with an OV certificate, the CA will look for the proof that your organization is genuine. This type of certificate is a bit expensive than the DV, and the approval process often takes a few business days to complete. These certificates are more secure and allow visitors to quickly find the information about who runs the site which in turn enhances the trust between you and your visitors. OV certificates are appropriate for sites that conduct online transactions and assembles sensitive user data such as membership portals and e-commerce websites that demand personal details or credit card numbers from the customers. EV certificates are the strongest ones with the highest level of security. Also, these certificates need the most strict approval process. Here, the CA is required to perform a thorough investigation where he will review the proof of the organization's ownership, legal status, existence, identity, etc. 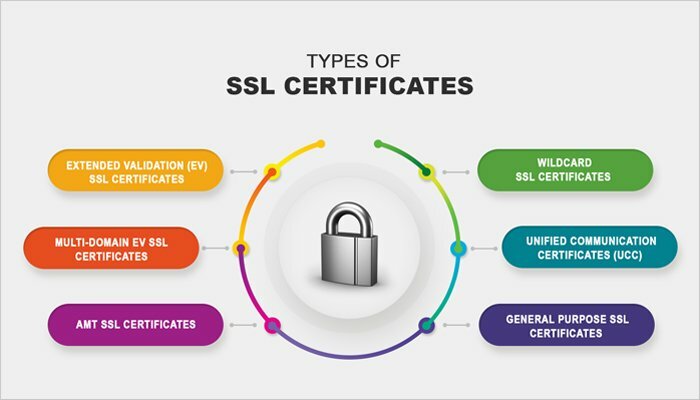 EV certificates are the most expensive and time-consuming among all three categories of SSL certificates. Usually, it takes around one to two weeks to obtain this type of SSL certification. 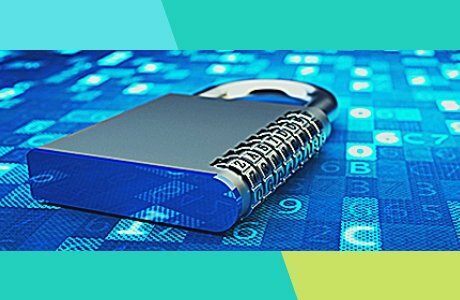 EV certificates assure the users that the particular organization is legitimate where the users can trust that their data is safe and secure. Also, with this type of SSL certificate, most of the major web browsers also show that your connection is safe and sound. EV certificates are best suited for a website that deals with users' data and allows them to purchase products and services digitally. There are several options available in the market through which you can obtain either OV or EV certificates. However, it's a good idea, to begin with, GlobalSign. This platform offers SSL certificates at all levels of validation and even allow you to set them up through the hosting service you are using currently. There are three important types of SSL certificates by the services they provide individually. Let's explore them one at a time. These certificates are the most basic ones that protect a single domain and none of the subdomains within it. They are a perfect fit for simple websites like straightforward informational sites or the brochure type websites. In particular, these certificates are appropriate for B2B or e-commerce sites where all transactions happen over a single domain. These certificates allow you to cover a single domain and multiple subdomains within it. It is the best alternative for organizations with sites across various subdomains. Here, one certificate represents all the subdomains and let you save a lot of time and money. When we look in relation with the WordPress world, then this type of SSL certificates are best if you have a multisite install that is set up with subdomains. These certificates protect multiple subdomains across multiple top-level domains which makes it an ideal choice if you have multiple domains to cover. You can secure up to 100 different domains on one MDC. It's effortless for the customers to add or remove any domain as and when they need. It is a pocket-friendly alternative that allows website owners to secure multiple, distinct domains on a single certificate. SSL certificates are essential to protect the sites from hackers who can misuse the private information sent over the internet. You can choose the best type of SSL certificate for your website by considering the nature of your site, how many domains or subdomains you need to secure, your budget, different levels of trust, etc. Remember, to inculcate trust among your site visitors, its mandatory to secure your site with a proper SSL certificate that can save you from much trouble down the road and can make your website hacker-proof.